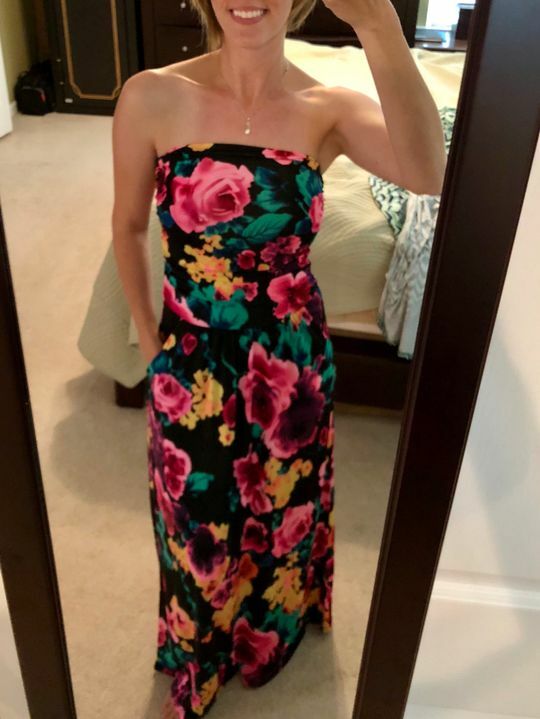 This Pink Floral Strapless Maxi Dress is so pretty! Loving the pockets and how comfy it is! Bring in Spring to everything and everyone around you in this cute neon floral maxi! Approx. Length (top to bottom hem) -Small: 50.5" -Medium: 51 -Large: 51.5"
I’m 5’4”, 115 pounds. A small fit perfectly in size and length. 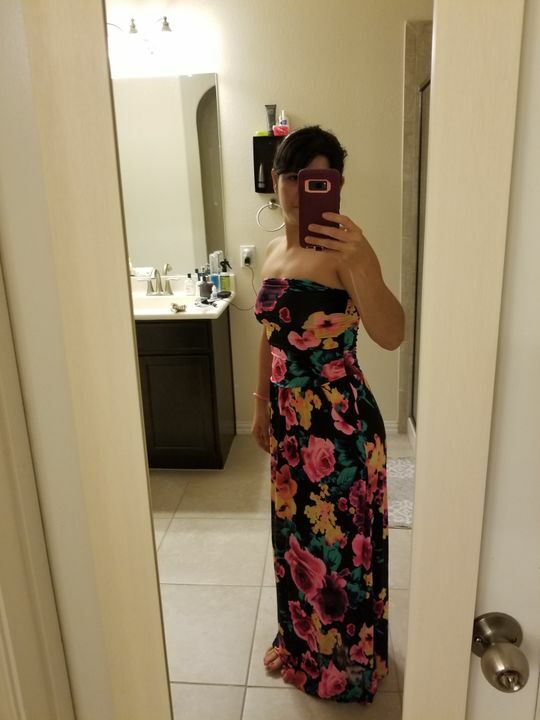 Super cute, has pockets, husband loves it too! True to size, very comfortable fabric and I love the pockets! Love the material and the real size. This is the prettiest, most comfortable dress ever!! It fits true to size. It has two pockets that you don't even notice unless you just need to use them.